It is with deep sadness that we mourn the death of our beloved Ralph Gordon McAllister at the age of 59. Ralph was the youngest of 4 sons born to Donald and Doris McAllister. He spent some of his early childhood living in Lacombe where his dad and brother Lenard ran a Taxi service. Ralph often talked fondly about that when he moved back to Lacombe 10 years ago. Then after that venture, Donald and Doris headed back to working on feedlots and dairy farms and in Ralph’s earlier years he attended school in Conrich (NE of Calgary) and then later the River Glen School in Red Deer. So the boys grew up with cattle, horses and rodeo. Ralph took a whirl at it, first riding steers and then even bull riding for a bit! As a youngster, Ralph suffered from asthma. His parents had heard that a Chihuahua had the ability to remove asthma from a human. His brother doesn’t think that Pal (Ralph’s Chihuahua) cured Ralph, but he does remember that Pal ended up doing a lot of wheezing!! Ralph worked in a few different shops in his early adult years but had settled into working in the oilfield service for many years since. He met many coworkers over the years and made many friends. He always remembered each one of them and was good about keeping in touch. Any one of them could tell a story or two about how he would make them laugh as he was quite a trickster and then would act all innocent. Ralph loved visiting, having a beer with friends, driving around the countryside to discover new sites and scenes and even new acquaintances if opportunity arose. Ralph passed away at home in Lacombe. He was predeceased by his parents Donald and Doris, his nephew Chad, and oldest brother Lenard. He is survived by his friend and partner, Charlene; sister-in-law Bernice; brother Roger (Elva); brother Vic (Gloria); several cousins, nieces, nephews, relatives and many friends. He will be forever missed. 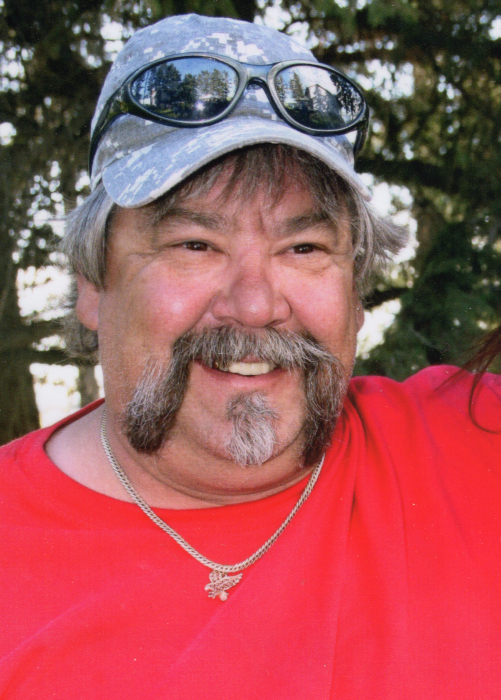 Respecting his wishes, cremation has taken place and a Celebration of Life will be held on Saturday, April 27, 2019 at the Lacombe Legion, 5138 – 49 Street. This will be a Come-And-Go luncheon from 1:00 – 4:00 p.m. in the upstairs hall. Please join us to visit, share your memories and stories and to celebrate Ralph’s life. There's still time to send flowers to the Gathering of Family and Friends at the LacoRoyal Canadian Legion from 1:00 PM to 4:00 PM on April 27, 2019.